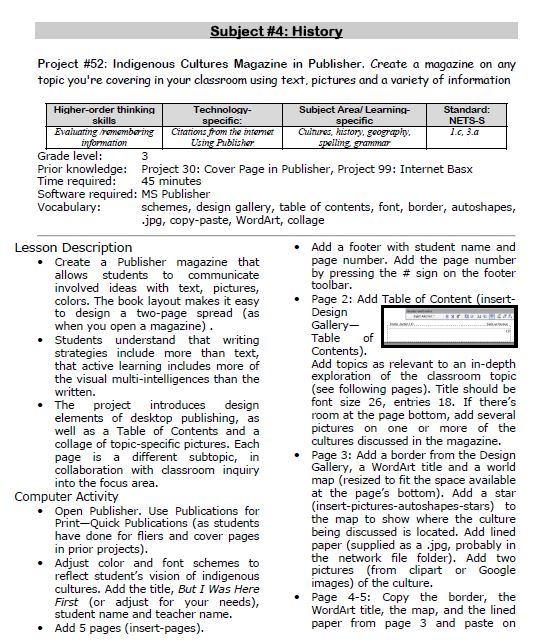 Create a magazine on any topic you’re covering in class using text, pictures, diagrams, charts. Add a cover and a table of contents. 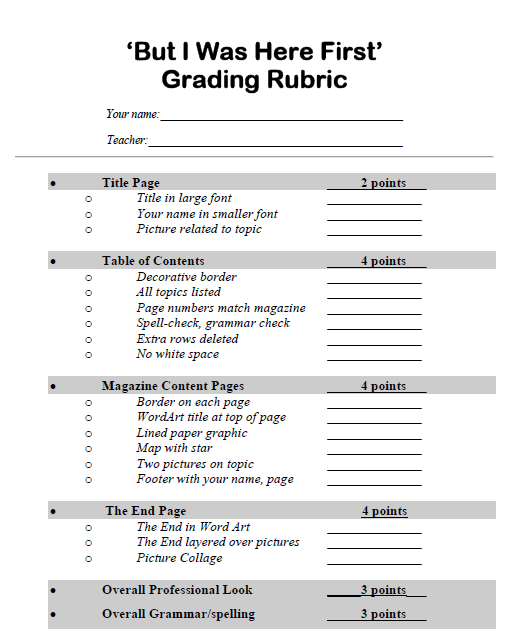 Click on each page of lesson plan. Tags: fifth grade, fourth grade, free lesson plans, lesson plans, project-based learning, publisher projects, sixth grade, tech projects. Bookmark the permalink.